When I started compiling a list of online writing resources, I soon found myself in the middle of an organizational nightmare. For purposes of clarification, I’ve broken them up into sections based on different hypothetical questions, starting at the very beginning with questions about starting a writing project to questions at the end about publishing, once that book or story is complete. Also, please note if you’re coming from somewhere other than my main page, most of these links are primarily for fantasy fiction or children’s fiction writing. Hope you find something useful! Q: How do you come up with an idea for a story? Neil Gaiman has a wonderful essay about where ideas come from on his site. Maggie Stiefvater on the writer as a thief. And for coming up with some ideas of your own, here are a few good, basic brainstorming exercises. Q: I have a lot of ideas. How do you choose between ideas? A: It’s exciting to be at the crossroads where lots of ideas meet, but to finish a project, it needs to be your sole focus, at least for a little while. So you have to pick a single project, even if you begin second-guessing yourself moments after that decision. There are a couple of different ways you can choose. You can pick the idea where you have the most material generated already and the clearest sense of what’s going to happen. You can pick the idea to which you feel the most forcefully attracted. You can pick the idea that when you talk about, other people get excited. You can pick the idea that you think will be perfect for the market as it is … or you can print the ideas out, stick them to a large log and throw darts at them. What matters most is that once you choose, you stick with your choice no matter how mightily tempted you are by the ones you decided would be on the back burner for a while. You’ve chosen! Now you’ve got to finish the project before you get to choose again. Q: But I think maybe I made a mistake! Maybe I should have gone with the other idea. A: Once you choose, you may have a little buyer’s remorse. That’s normal. Whenever I commit to a new book, I have a period of uncertainty. But that passes as I get more deeply involved in the story. Q: What about working on two projects at the same time? A: Some people manage to juggle two projects, but unless there is a compelling reason to do so, I am going to advise against. Q: So I really, really, really, can’t ditch this project and come up with another one? Really? A: Of course you can! There’s no rule that works for everyone all the time — if you absolutely have to switch projects, then you’re going to know it deep down in your bones and no advice I can give you will (or should) countermand that. All I can say is that if you do change projects then you really, really, really, really better stick with the new project until you finish it. Q: How do you start a book? A: Put the pen to paper or your fingers to the keys and just start. Start now. Start today. Okay, maybe get a cup of coffee first — and maybe make some kind of outline or plan. But start soon because there’s nothing worse than the blank page staring back at you. Q: Do I need an outline? A: Some people like to dive straight into a project, while others prefer to outline first. In my experience, most authors use some combination of plotting and pantsing. Personally, I usually start a book by writing an exploratory chapter or three before I seriously dig down and start plotting. I have friends who plan out everything before they begin. Whatever works for you is the right way. Q: How do I outline? A: There are many different ways, but the one way I have never seen anyone outline a book is with roman numerals, the way that we’re taught to outline things at school. Some writers use index cards (Marilyn Byerly wrote an interesting article on how she used index cards as part of plotting). Some do scene-by-scene outlines which they write out in short paragraphs broken out by chapter. Some make lists of all the events in particular plotlines and then weave the timeline together after. Some start by creating a “spine” of dialogue which they then fill in and flesh out. Some just know the beginning and the end, believing to know more would be getting in the way of the fun. Here are a couple of examples of writerly outlines. Here’s some of J.K. Rowling’s outline for Harry Potter. Here’s an article with a range of jotted down notes from authors, including Jennifer Egan, Joseph Heller, Sylvia Plath and Gay Talese. Q: I’ve just started my book/short story, but I’m having a hard time coming up with a plot I like. A: This is a super common problem, maybe the most common problem — often we start something because we have a fun premise, or interesting characters, or an image in our heads and then bog down when we realize we’re not sure how the story proceeds from that initial part. Even when you have an outline of the whole story, sometimes you realize either there’s something missing or that your outline doesn’t quite fit the story as its evolving. This is the point where I like to bother one of my critique partners and toss around some ideas. In his book, Creating Short Fiction, Damon Knight wrote a great article on plot that I found very useful. As a bonus, he explains the origin of the phrase, “waiting for the other shoe to drop.” Diana Wynne Jones wrote some very calming tips on the process of writing a story. There are some exercises for brainstorming book ideas in Karen Wiesner’s article from the Guardian that seem more useful — to me — for unsticking when stuck than for generating ideas in the first place. And finally, writers of screenplays have formalized plot in a way that can be very helpful. Q: I’ve just started my book/short story, but I’m having trouble fleshing out the world. A: Some people do a lot of worldbuilding before they begin writing, while others plan their worlds along the way. It should be noted that planning along the way generally results in a lot more re-writing. For insights into the process, take a look at Patricia C. Wrede’s article on fantasy world building. It will terrify and amaze. S. John Ross’s demographics for pseudo-medieval fantasy settings is a useful place to start. You might also take a look at the Internet Medieval Sourcebook. For the most part, however, fantasy (and science fiction) worldbuilding, insofar as possible, should be based on history, anthropology and astronomy more in-depth than that available online. For example, if you are expecting warfare in your book, you could look at John Keegan’s The Face of Battle. In addition, reading primary texts from the historical period when your books are based on provides invaluable insights. For example, if your world is based on a pseudo-medieval setting, you might try A Medieval Home Companion. If you’re influenced by feudal Japan, you might try sources like The Pillow Book of Sei Shonagon. And so on. If you want to take a look at some of my favorite resources, here’s a list. Q: I’ve just started my book/story, but I’m having trouble fleshing out the characters. A: James Patrick Kelly gives a good overview of the functions of different characters in the narrative and some advice in his article “You and Your Characters.” There is a good list of character development questions at Writers Write, which I know some people find incredibly helpful and others find frustrating. You should absolutely read “Transracial Writing for the Sincere” by Nisi Shawl (she also runs a Writing the Other workshop with Cynthia Lord). Really solid writing advice. And be sure to take a look at Teresa Nielsen Hayden’s Evil Overlord pages on the Viable Paradise site to make sure your evil overlords, heroes, and henchman have learned from their predecessors. I also suggest looking into some of the extensive writing on the phenomenon of the “Unlikeable Female Protagonist” and the way readers judge female characters differently from male ones. And finally, here’s some writing advice from Cat Valente on many things, but I thought her insights on character creation to be particularly interesting. Q: I need some help naming my characters. Are there any sites for this? A: Absolutely. Baby name sites aside, there’s the Medieval Names Archive and Behind the Name.The coolest is probably Kate Monk’s Onamastikon, which has lists by region for the sole purpose of naming characters, but is sometimes unavailable. My current favorite site, however, is Nameberry, which has official lists of names and also reader lists, allowing for some very odd and useful groupings. Q: I’m stuck! Is this Writer’s Block? And if so, what do I do about it? A: My friend Cassandra Clare always says a very wise thing about writer’s block, which is “writer’s block isn’t a disease. It’s a symptom of the disease. There is something causing your writers block.” Maybe you don’t know enough about your story, your world or your characters. Maybe stuff is going on in your personal life that’s keeping you from being able to focus. Maybe your anxiety is getting the better of you. Maybe you’ve made a wrong turn in the story and you’re reluctant to double back. But figuring out what’s causing the block is the best way to overcome it. She also recommends Elizabeth Moon’s essay on the subject, “How to Identify Dread Writer’s Block and Its Relatives,” which is fantastic. Q: How do I know if I’m writing a middle grade book or a young adult book? A: Laura Backes attempts to define the categories of children’s publishing on her great site Write4Kids.Com. Take a look.One caveat is that while these page counts might be accurate for much of YA, fantasy books for teenagers seem to be getting longer and longer. At this point, teen fantasy can be 400-500 pages. Q: How do I know if I’m writing a young adult book or an adult book? A: Does your book have a teenage protagonist? Does it address the concerns of being a teenager without being either didactic or elegiac? If so, you may well be writing a young adult book. However, remember that what will really decide is whether its purchased by a young adult publisher or an adult publisher. Many formerly adult books (such as Orson Scott Card’s Ender’s Game and Jane Yolen’s Briar Rose) have been repackaged for the young adult shelves. Q: There’s so much going on in my life. How do I make time for writing? A: Sometimes writing a book can feel like an enormous, overwhelming task. The best thing you can do is try to write a little every day, whether that’s 200 words or 2,000. It adds up, more quickly than you might think. Victoria Schwab gives herself stickers on a calendar when she hits her writing goals. I started keeping track of my daily word count and it really helped me see how writing even a small amount added up to a book. If you write a mere 250 words a day, in a year you’ll have 90K. When you break it down, the massive task of writing a book feels more possible. Here are some posts on word counts for Black Heart, word counts for Doll Bones, and word counts for Coldtown that I hope will be helpful. Q: How do you end a book? A: Finding a satisfying ending for a book — especially if you haven’t planned it all along — is always a challenge. The end of a book is always in it’s beginning, though. The questions the book started with, the losses and desires of the protagonist, are all answered — for good or for ill — in the end. If you get stuck when you reach the end, go back and re-read your start to remind yourself what those were. It’s also perfectly acceptable to write an ending and then realize that ending is nutso and it needs to be massively changed. It happens. Q: I don’t think my book/story is working. Do I still have to finish it, even if I know I am just going to stick it in a drawer and start something else? A: YOU MUST FINISH. You don’t have to ever show it to anyone, but you have to finish it. You can tuck it away in a drawer, but you still have to finish it. Maybe it’s not working, maybe it’s broken, maybe a lot of things, BUT YOU STILL HAVE TO FINISH. There are very few more important skills than the ones you learn by finishing your writing projects, even your failed ones. Q: I’m almost done with my story, but I don’t have a title! A: Brenda Clough wrote the definitive article on titling. After reading it, you’ll need Bartlett’s or maybe WikiQuote. Q: I just finished my book/short story, now what? A: Now you put it in the proper format, check for grammar and spelling mistakes, and either take it to your critique group/critique partner or take off your writer hat and put on your critiquer hat. Once you get or make comments, it’s time for revisions. If you’ve made major changes, you might want to send it back to your critique group for another round. Once you’re satisfied, send it out to agents & editors. Q: How do you edit a book? Do I need a professional editor? A: You do not need to pay for editing before you submit your story to agents. You do, however, need (a) the story to be as well structured and well written as you can possibly make it and (b) the grammar and spelling mistakes to be minimal enough to not be intrusive. Agents and editors receive an enormous number of submissions and yours has to stand out in a good way. You might want to peruse this post, called Slushkiller, on Making Light, which goes over common reasons manuscripts are rejected. Obviously, if you’re self-publishing, then you will probably need to engage a professional editor and copyeditor (as well as a cover designer, etc.) because you’ll be handling all aspects of the publishing process. Q: What is the proper format for submissions? A: William Shunn has an excellent article/example both for short stories and novels. More and more editors prefer Times New Roman over Courier, however. Q: How do I find a critique group/critique partner? A: There are several groups online, including Critters and the Online Writing Workshop for Science Fiction and Fantasy (formerly the Del Rey Writing Workshop). For local groups, check your library, bookstores, and the regional arms of any groups of which you are a member. SCBWI has many critique groups all over the country, for example. Local conventions are also a place to get in touch with writers near where you live who might be interested in workshopping. For an example of the usefulness of critique groups, you might want to look over the Turkey City Lexicon, a collection of common (and funny) critique terminology that is specific to speculative fiction. Most of those terms were coined in workshops. The most important thing to look for in a critique partner or group is (a) that they have a similar enough aesthetic to yours to be helpful (b) that they both appreciate what is genuinely good about your work as well as seeing the flaws (c) that they interested in supporting your voice and your vision (d) that you like their work and their vision too. Q: Do I need an agent and how do I get one? A: With more and more publishers unwilling to accept unsolicited manuscripts, agents are becoming more necessary. While I know several successful writers that have managed to do without one, the advantages of having an agent are many: they know editors and their tastes, they can get a book read quickly, and they can get a lot more money for a book because they can get competing offers. Before you start looking for an agent, check out SFWA’s Writer Beware pages, listing some of the more egregious agent scams and giving tips on deciding if an agent is dishonest. If you are still unsure, the Bewares and Background Checks area of Absolute Write has threads on lots of agents and you can always post to get opinions. The important thing to know about a good agent is that they take a 10-15% commission on the money they make for you. They never charge you anything and you should never have to pay an agent out of your pocket. You should also not be shy about asking your agent for names of his or her other clients. Looking up their books online should tell you a lot about your agent’s success rate. Most of the online sites listing literary agents aren’t as comprehensive as going to a bookstore or library and looking in a Guide to Literary Agents book, usually found in the Reference section. And for agent-related questions, the archives of bloggers Miss Snark and Rejector (both at agencies themselves) have very good (although sometimes not identical) advice. Q: How do I write a query letter? What about a synopsis? A: Many publishers and agents will ask for a query letter with a synopsis and (sometimes) sample chapters. If they like what they read, they will request the full manuscript. For this reason, writing a compelling query letter has become a highly prized skill. Lynn Flewelling wrote an article on query letters, complete with an example. Also worth looking at are the excellent (and hilarious) query critiques done by Evil Editor. Q: Are there any professional writerly organizations I can join? A: Professional authors of all sorts can join The Author’s Guild. For children’s book writers, the Society of Children’s Book Writers and Illustrators (SCBWI) is the main professional organization. For science fiction and fantasy writers, it is the Science Fiction and Fantasy Writers of America (SFWA). To join SFWA, you must have at least one professional sale. For more associations, try the list on the Preditors and Editors site. 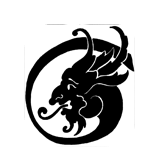 A: The most well-known program for speculative fiction writers is the Clarion Science Fiction and Fantasy Writer’s Workshop. Other programs include Clarion West, Odyssey, Taos Toolbox, and the Viable Paradise Writers Workshop. You also might also want to take a look at the two annual SCBWI conferences on writing and illustrating for children (there are great local ones as well). Other conventions, particularly sf/f ones, may offer short writing programs during the convention. In addition, almost all colleges and universities offer “creative writing” classes, although the quality varies according to the instructor(s). There are a few colleges and universities that offer undergraduate degrees in creative writing, such as Carnegie Mellon and The University of California Riverside, although it’s unclear how open they are to sf/f work. There are also masters degree programs, such as the one at The New School in New York (which offers a focus on writing for children) and one in Vermont offering a Masters in Writing for Children and Young Adults. Q: I just sold my book! Now what? I will try to outline the process between acceptance and publication, but different publishers function differently, so series of steps universal. The usual start, however, is revisions. Once a contract is signed (and maybe even before), you will get a revision letter from your editor. There will probably be a deadline in the letter for when your editor is expecting the revised manuscript. Conventional wisdom says that after you look at your revision letter, you should let 24 hours pass (or at least a good night’s sleep) before you respond to it, so avoid freaking out. Do not freak out! At that time you can also turn in any front matter, such as dedications and acknowledgments — or if you need to, you can hold on to those and turn them in during copyediting. Close to your publication date, you will see Advance Reading Copies (ARCs) or “uncorrected proofs” which are bound and can be sent out to reviewers and booksellers. The back copy and flap copy of this will not be written by you, although you may be able to give some input. Do try and go in at least once and meet the people working on your book. This is not just the editor, but many, many other people in the marketing, publicity, production, and art departments. Your editor will probably not be responsible for sending out review copies, so once you get about 3-4 months before the publication date, find out who is in charge of publicity for your title. There are a lot of long stretches between the stages of publication where the author will hear nothing. This is normal. The best thing that you can do to distract yourself is work on your next book. To read one author’s tale of the publication process, read Scott Nicholson’s Virgin in the Church column series. For children’s books, you might want to take a look at the National Library of Canada’s Page by Page series. And Janni Lee Simner has a great ongoing series, Writing for the Long Haul, that talks about the challenges of a career in publishing, beyond the first book. Q: Do I have any control over the cover art? A: Er, no. But don’t despair. You can always politely ask your editor what he or she has in mind. Your publisher doesn’t want you to hate the cover. Use your influence wisely. Q: What are blurbs and how do I get them? Make a list of all the authors that you really like. Then, make a list of well-known authors that write in the same genre that you write — especially ones whose fans would very likely enjoy your books. If you are lucky enough to know a well-known author in any genre, add that person to the list. Then, once you have a complete list, contact your editor and agent to see if they would be willing reach out to those writers for you. There is some variety of opinion as to whether one should ever approach writers personally or whether blurb queries should always go through agents/editors. I have gotten blurb queries both ways. Some writers have blurbing policies on their sites; please consult those. If a writer agrees to consider reading your book , make sure galleys or ARCs get sent and then wait. Most will not reply, but one or two might and their words will grace the back (or front) of your book. Q: What conventions should I be attending? A: There is no requirement for attending conferences and conventions, although I’ve found them to be both a lot of fun and also helpful in terms of getting my books into the hands of readers and meeting authors I like a lot. When I started out, I went to a lot of different conventions and eventually settled into the ones I liked best and found most helpful. WorldCon,World Fantasy and World Horror are three big semi-professional genre conventions (although readers can attend). In addition, there are many regional conventions — some, like ReaderCon, WisCon, and Convergence serve particulars national audiences as well. For a listing by region, state and month, try Alexander von Thorn’s convention listings at the SF site. You might also look into DragonCon and San Diego ComicCon, two very large conventions not focused on books, but still useful for promotion. And GeekyCon has a great lit track. Here’s some excellent advice on promoting at SF/F conventions. Additionally, your publisher may send you to the American Library Association conference, local chapter conferences and bookseller conventions, such as Book Expo America, the New Atlantic Independent Booksellers Association trade show, the Northern California Independent Booksellers Association trade show, and/or the New England Booksellers Association trade show. Q: I’ve never been to a science fiction/fantasy convention before. What do I need to know? A: Read John C. Bunnell’s explanation of the nature of SF conventions. You should check out Gandalara’s newbie guide to conventions and a list of con-related terms. You might also want to look at Aynjel’s description of her trip to a World Fantasy Convention. Conventions can be overwhelming, but also an enormous amount of fun. As everyone in these links says, get enough sleep, enough water, and make sure to take care of yourself. A: Although your publisher is responsible for and most publishers are good about sending books to awards committees, it’s a good idea to know what awards a book is eligible for and to confirm books have been sent to the appropriate places, especially for specialized awards. David K. Brown maintains a list of children’s book awards on his Children’s Literature Web Guide. Locus Online maintains a page of science fiction, fantasy, and horror awards. Q: I’m under the age of 21; are there any resources just for me? A: Yes, there are! For one thing, you should check out David Kirtley’s collection of resources for teen writers of speculative fiction. It is a great page that I wish I had access to as a young writer. In addition, several colleges and universities offer summer programs for young writers. Here are a few: Iowa Young Writer’s Studio, the Northern Virginia Writing Project Student Summer Institute, Center for Talented Youth, and the New York State Young Writer’s Institute. There is a directory to some other programs provided by Teen Ink. You should also take a look at Alpha, a workshop just for teen writers of speculative fiction.